Being a Bolton Landing wedding photographer means I get to create great wedding photojournalism in so many of the best parts of the Adirondack Park. A huge variety of wedding venues surrounding the area and available for a Lake George NY wedding. And it’s great as a Lake George wedding photographer to have worked in those locations so many times! Of course you can’t be a Bolton Landing NY wedding photographer an not talk about Sagamore weddings. 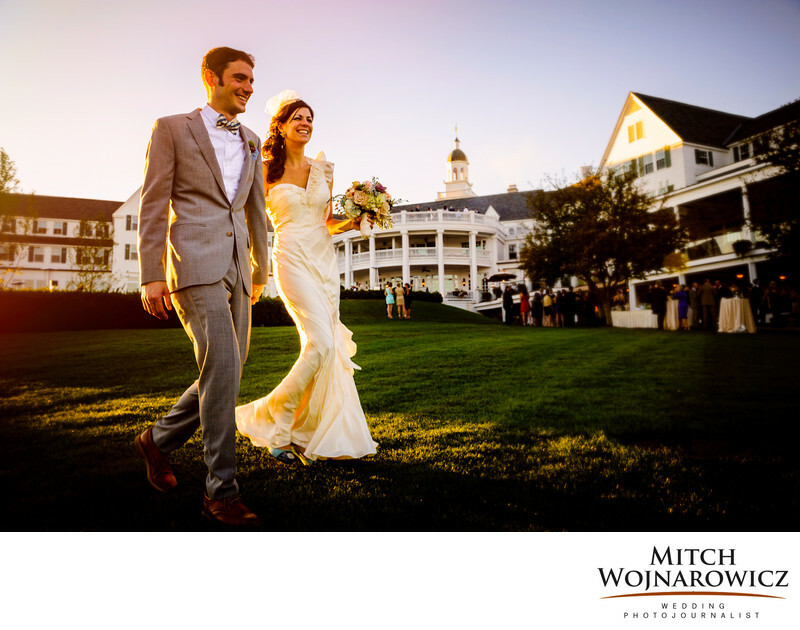 The historic Adirondack hotel is one of the best Adirondack wedding venues, and has been for decades. It’s a favorite place for me to create great wedding photos on Lake George. You have access to the historic buildings, the lawns, the docks and the edge of the lake. All of this provides a setting for your Adirondack wedding which is like no other. It’s always incredible for me to watch people who are not from this area as they take in the scene and the surroundings for the first time. The dramatic lake and mountain views always impress people. So many of the weddings I photograph as an Adirondack wedding photojournalist can really be called destination weddings. People may have originally grown up in the region and they want to come home for their wedding. Others may have vacationed here for generations so they want a special place in their lives as the setting for their wedding. Still others, who have had no connection to the Adirondack Mountains, come here because of the rugged mountain beauty, the Adirondack style, the spectacular weather once the “lake-season” arrives. Having a Bolton Landing wedding photojournalist create your wedding photos means you’ll be at your wedding and not an hours-long photo session. It means that after your wedding you’ll get so many photos that are of real moments, real emotions and real interactions instead of endless posed and detail photos. As an experienced wedding photographer, I can offer guidance, ask questions to help you clarify, and really listen to your ideas and needs. It’s not about offering some kind of sales-y package to entice you to book with me. It’s all about you feeling confident that you’ll be guided and cared for, that the right plans will be made. And that from the beginning, it’s all about what you need, regardless of whether you know exactly what that is or whether I guide you to understanding what that is. Let’s see if we are a good match for each other. There won’t be sales pitches or pressure. Please Visit This Link To Get Started. Keywords: adirondack (60), lake george (30), sagamore (3).